Back in November (2018), we (Henry Fell and Laura Hunt, both PhD students in the School of Geography) were lucky enough to travel to Tokyo in order to represent the University of Nottingham at the RENKEI Climate Change Researcher Forum and Workshop; a three day event aiming to establish potential areas for collaborative research between universities in the UK and Japan, and determine the direction of the partnership over the next five years. The University of Nottingham is a member university in the RENKEI partnership, RENKEI standing for Research and Education Network for Knowledge Economy Initiatives, as well as directly translating as “collaboration” from Japanese. It is a collaborative network hosted by the British Council, between 6 UK based and 6 Japanese leading research universities (Universities of Edinburgh, Leeds, Liverpool, Nottingham and Southampton, Newcastle University, Kyoto University, Kyushu University, Nagoya University, Osaka University, Ritsumeikan University and Tohoku University), with the aims of establishing and building research collaborations between the partner universities, focusing on the topics of climate change and health. The two day researcher workshop was the focal point of November’s RENKEI activities, with four representatives from the School of Geography, from all three campuses of the University of Nottingham participating (Chris Gibbins, Head of School, Malaysia Campus and Faith Chan, Assistant Professor, Ningbo Campus, in addition to us). 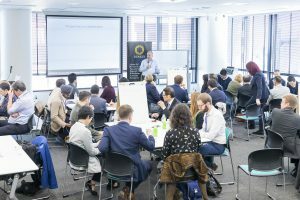 The workshop comprised largely of brainstorming some of the key topics and challenges in current and future climate change research, thinking about a range of aspects of climate change, and discussing the key research focuses of each of the universities. These discussion groups enabled researchers of all levels to voice their thoughts on the chosen topics, and despite the disparity in career levels, felt like a supporting environment where everyone’s input was valued. Due to the breadth of research interests represented, we were often involved in discussions removed from our primary research area, and found that some of the most interesting discussions occurred when researchers from diverse areas and institutes were brought together. As a PhD student, most of our work is focused in a relatively narrow field, so it was really enjoyable to take a step back and think about the broader picture of climate change research. This kind of interdisciplinary workshop is a fantastic opportunity for researchers from disparate fields to interact and we would highly recommend getting involved with similar research events or a future RENKEI event. Group discussions at the RENKEI researcher workshop, Tokyo. Ourselves and Faith were also lucky enough to be able to attend a forum on climate change research as part of the RENKEI programme, hosted at the British Embassy in Tokyo. It was a bit surreal, to say the least, to be chatting about our research, with colleagues ranging from fellow PhD students, to senior Japanese academics, business leaders, and politicians and British diplomats! Dr Michèle Clark, also of the School of Geography, presented on the University of Nottingham’s beacons of excellence, and how this helped to drive the University of Nottingham’s research, in particular in relation to climate change research. Over the next 5 years, there will be many future opportunities to get involved with the RENKEI network. If you are interested in being involved in the future, keep an eye out information regarding upcoming events or get in touch with Dr Liz French, Head of Strategy, Policy, Performance and Impact for the University of Nottingham (elizabeth.french@nottingham.ac.uk). In addition to learning about the opportunities through RENKEI, we also were made aware of the Japanese Society for the Promotion of Science Summer Placement Programme – a funded programme facilitating placements for UK based PhD students to spend time working in a Japanese university. 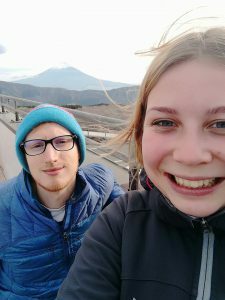 It would be wasting an opportunity to write about for GeogBlog and not mention that we managed to squeeze in a trip to see Mt Fuji – and it wasn’t shrouded in cloud! As two geology graduates, we were more than a bit excited. 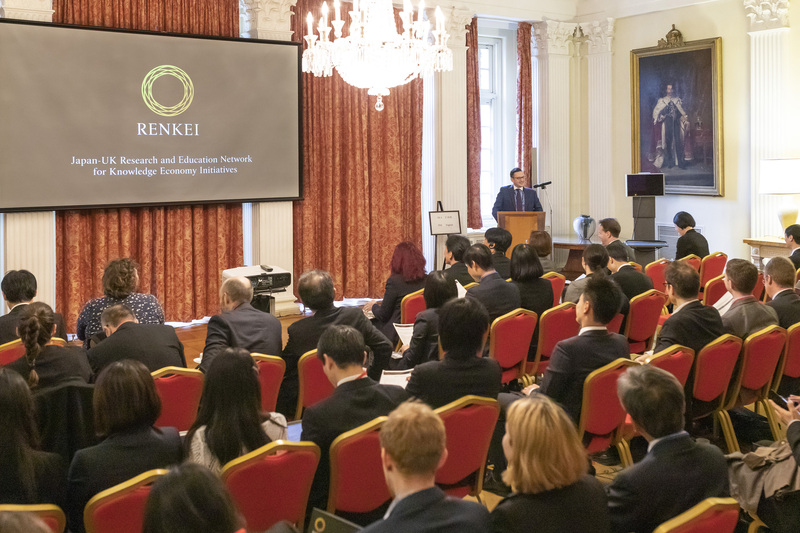 I think that it would be fair to say we had a really insightful, interesting and enjoyable time as participants of the RENKEI activities, and look forward to seeing the university establish some successful research partnerships as a result.